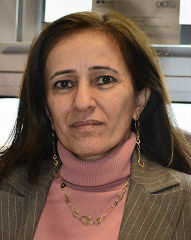 Silva Karkoulian is an associate professor at Adnan Kassar School of Business. She holds a PhD in Management from Leicester University and has a combined management and accounting background with an MA and a BSc in Business Accounting from LAU. Offered numerous seminars and workshops including Management Accounting and Budgeting (e.g. workshop for HP). Messarra, L. C., Karkoulian, S., & El-Kassar, A. N. (2016). Conflict resolution styles and personality: The moderating effect of generation X and Y in a non-Western context. International Journal of Productivity and Performance Management, 65(6), 792 – 810. Karkoulian, S., Srour J., & Sinan, T. (2016). A gender perspective on work-life balance, perceived stress, & locus of control. Journal of Business Research, 69(11), 4918-4923. Karkoulian, S., Assaker, G., & Hallak, R. (2015). An empirical study of 360-degree feedback, organizational justice, and firm sustainability. Journal of Business Research, 69(5). Karkoulian, S. (2015). The reign of leadership and power in just organizations. Contemporary Management Research, 11(2), 153-178. Neal, M., Finlay, J., Karkoulian, S., Catana, D., & Pellegrina, R. (2015). How business students view corruption, and why this should concern us: Insights from Lebanon, Romania and the United States. Tertiary Education and Management, 21(2), 140-159. Kassar, A. N., Karkoulian, S., Finlay, J., & Pellegrino, B. (2014). Nature vs. nurture: Can business education really alter cultural norms? 4D International Journal of Management and Science, 2550(669). Ismail, H., & Karkoulian, S. (2013). Interviewers’ characteristics and post-hire attitudes and performance. Contemporary Management Research, 9(4), 441-462.